My biggest success was finishing my catchall before the deadline. At first, I thought I couldn’t finish my catchall before the deadline. However, I finished it( I don’t know why)! Although it was a little different than I expected, I’m okay with that. If I do this again, one thing I would change is material. When I was creating the catchall, I thought it would be more awesome if I used a 3d printer or laser cut. Therefore, I wanna change the material if I do this project again. 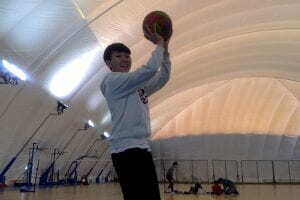 ,Henry and Dustin) are going to make video about basketball dribbling for the beginners. 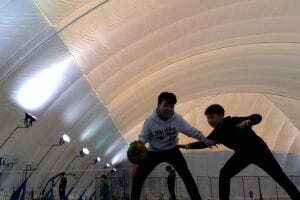 For example, we will teach about bouncing the ball, rotate the ball…etc. Also, if we have time, we will teach about other dribblings and postures. Finsih edit it and do other sports. We just finished the intro, how to bounce the ball. 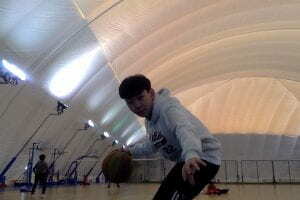 Now, we have to work on the rotating the ball, posture, protect the ball and conclusion. I’m so tired now, I just realized that leading the group is very hard. we just finished the making video.It was nice and tired exeperience. My teammates followed my directions well. In fact, our plan was finish video at 12:30, but we finished it at 11:30. Do you want to know where did I come from? Why could only Tolly and Mrs.OldKnowe see Toby, Linnet and Alexander? Summarize the story. Remember, a good summary tells the important events that happened in the story, who the characters are, what their problem is, and what the theme of the book is. This story is about one family. One day mom went to the conference. Later, they knew no milk was in the fridge. So dad went to shop, but he returned home late. Brother and sister asked, “Why are you late?” Dad answered, “After I bought a milk I saw a disc and it was as big as a playground. Then I went to that disc and there were aliens. And they said give us the ownership of whole planet. And I said no and jumped out of the door. Then I fell into the sea, but I kept holding the milk. I saw pirates and they came to me and tried to push me into the piranha’s sea. Soon the professor Steg helped me and we tried to find a green shiny stone. We went to the volcano and took the shiny stone. But I dropped the milk, so when I tried to bring it back, someone brought it. So we followed them, but there were wampires and they tried to eat me. So I escaped there, and soon the hole appeared and someone gave milk to me. So I brought it and came here, but there were aliens, pirates, a volcano…etc. So I held my milk and future milk. So everything became strange and I rode in the UFO and returned here.” This is what father said, but brother and sister didn’t believe it. Then he went to read the newspaper. Connection: What connection can you make to the story? It can be a text-to-self connection, an text-to-text connection, or a text-to-world connection. Remember to discuss BOTH things you are connecting. My connection is to how the children felt. The children didn’t believe father’s story, and when my mom told me a story I didn’t believe it too. But father said ” It was true” and my mom said the same thing. Also my mom told me about impossible thing and father said about unicorn, wampire, dinosaur… etc. So that make me didn’t believe it and I think they didn’t believe because father said about impossible thing. At the end of the story, the father insists that his story is true. His children disagree with him. Do you believe the father’s story? Why or why not? I don’t believe father’s story, because in the last page, father’s face is very strange and when his daughter wanted a unicorn, he made it. And sometimes my mom made up a story to me, and her face and expression is the same as father. Also, that is impossible, because there were wumpires, a time machine, aliens…etc. So I think father made up the story. 1. Why do you think it is so important to learn about wellness? Because that’s important to my life and my body. 2. What are some ways you practice wellness? What are some ways you could improve? 3. In learning about how to keep various body systems healthy, we discussed both healthy habits and things to avoid. Choose one system and comment on how to maintain its wellness. Remember the posters are at the back of the room and your inquiry booklets are also available. 4. What did you learn about yourself from your wellness project? I learned make a goal easy and do exercise is good for my body but too mush exercise is not good for my body. 1. What was the best part of writing fantasy stories and why was it the best? Ending, because I finish the story after ending. 2. What are some elements that make up a fantasy story? List as many as you can and then pick one to describe in detail. I followed the Hero’s Journey when I was writing the story. So there are status quo, call to adventure, departure…etc. 3. What is the best fantasy story you have read? You may not use either of the two I read to you. Tell me why you think it was the best. Invisible Stanley is a fantasy story. We have learned that in fantasy stories, the heroes can go on a hero’s journey. Do you think Stanley went on a hero’s journey in this book? Why or why not? I think Stanley went on a hero journey, because there are type of hero’s journey in the story. For example, call to adventure is when Stanley eat fruits when storming. And Departure is when Stanley became an invisible. Also he did many things for people, I think that are trials to crisis. And return is when Stanley returned to visible. So I think Stanley went on the hero’s journey. I will describe about hero’s journey of My Father’s Dragon. First the Status Quo is when Elmer lived with his family. Next the Call to Adventure is when he found a cat, and the cat said, “please go to the Wild Island and rescue the dragon.” Then he prepared to go to the Wild Island. And He rode a boat and arrived at the Wild Island, and I think this is the Departure. The Trial is when he met the dangerous animals. So he gave a brush, toothpaste…etc, so he could escape. And the Crisis is when he crossed the river. So he gave lollipops to the crocodiles, then he stamped the crocodiles and crossed the river. The Treasure and result is when he found a dragon and rescued the dragon. The Return is when he returned to his home with the dragon. And this is where the story finished, so there were no New Life and Resolution. What do you think is the theme of My Father’s Dragon? Explain your answer using evidence from the story. I think the theme of this story is be kind to everything because the animals weren’t kind to the dragon, so finally the dragon escaped there. Another reason is if someone isn’t kind to me I would hate that someone. I think a theme is try again and you can do everything, because first the Littles thought taming a cat was too dangerous. But they tried taming a cat, and they succeeded in taming a cat. Also they tried to fight with mice. So we have to try something. If you fail, try again. Another theme is listen to both side’s opinion. Because if they listen to both side’s opinion they wouldn’t fight, and they would live friendly. So we have to listen to both side’s opinion.